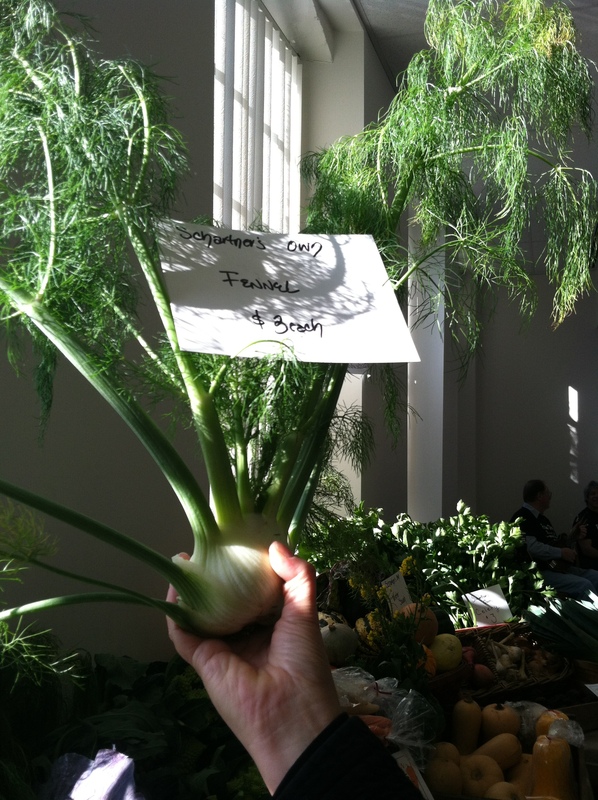 From the bounty of the market: fresh fennel. I’m from Brooklyn, NY, but I lived in Central New York for ten years. In New York City, I would frequent the Union Square Market, and in Central New York, I happily shopped at the Rochester Public Market. I love farmers, I love the food they grow, and I love supporting them and eating their food. That’s why I appreciate the Coastal Growers Market near my current home in South County, Rhode Island. The four-season farmers market is like both of these markets, but actually reminds me more of the market when I lived in Cassis, France during a semester long writing fellowship with The Camargo Foundation. The vendors in the open-air market would teach me French and I would bring home the loaves of hot olive bread, fresh greens, rabbit, olives, cheese and fresh eggs. Each vendor was kind, whether I was buying two heads of lettuce or a bouquet of mimosa that was large enough to make me feel like a beauty pageant winner. They were patient and funny as I made a mockery of the French language. At the market, I met the people with whom I would soon be hiking buddies and purchased ingredients that meant I made excellent meals without ever stepping foot into a supermarket. 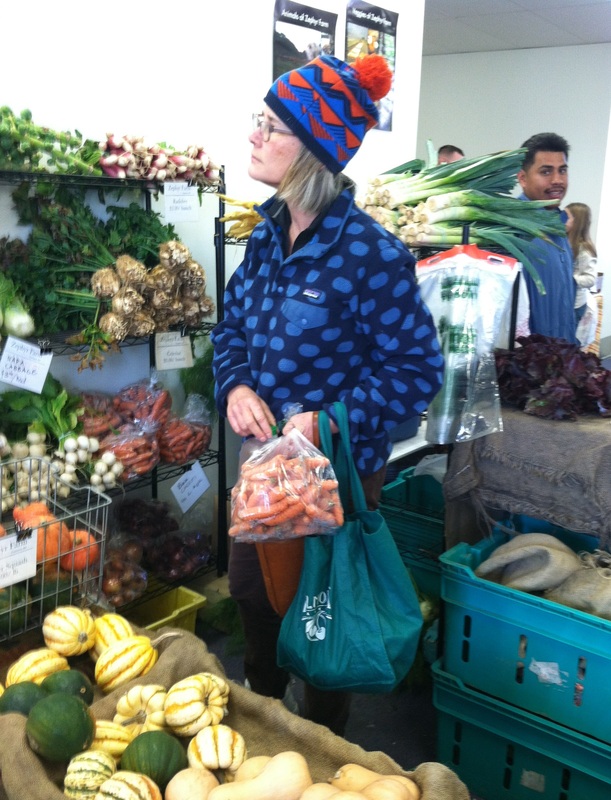 A customer browses at the Zephyr Farm stand. The Coastal Growers’ Market takes me back to the market in Cassis. The farmers and vendors are kind, patient, and caring—towards their customers and about the food and products they provide. In the summer, when the market is located at Casey Farm, I meet up with friends and we sit all morning on picnic benches and listen to music by different local bands each Saturday morning while drinking iced tea or a cold-pressed iced coffee from The Coffee Guy and eat the most amazing tacos in New England by Chef Jake Rojas of Tallulah’s Tacos. 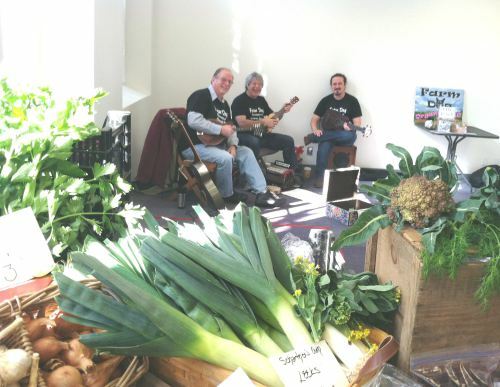 In the winter, the market moves indoors to Lafayette Mill and we still listen to great music and drink—only it’s more likely to be an apple cider that’s been freshly pressed by Barden Family Orchard or a juice from Fully Rooted. There’s Seven Stars for croissants and fresh crusty bread and Bravo Wood Fire Pizza. We meet up with our farmers and buy our groceries for the week as well. I get my greens from Mark, the hydroponic farmer of Abasaloma Greenhouse. I buy my fresh eggs from Zephyr Farm. And I indulge in nitrate-free bacon from Pat’s Pasteurized, where I’ve gotten to know Deb and Annie, aka Santa’s Elves, who do service work feeding the homeless throughout the year. I get my fresh seafood from The Local Catch and Matunuck Oyster Farm, where the young children love to hear Gabe’s stories about bivalves and watch as he opens an oyster just to watch their eyes light up in delight. There’s also Yorerganics where I purchase my laundry soapbuds and Susannah of Susannah’s Ice Cream and Sorbet, who makes the best darn Meyer lemon sorbet no matter what the season. Coastal Growers’ Market has made my transition to Rhode Island simple. I’ve made new friends and I’ve become part of a community of people who care about food and healthy living. If you need holiday gifts, the market is the perfect stop. And if you just want to meet up with terrific people and have a relaxing Saturday morning, the market folks will greet you with open arms.